Adele Griffin! Robin Wasserman! Sarah Mlynowski! E. Lockhart! We are beside ourselves with excitement to be the official bookseller at this event at Seattle Public Library, CENTRAL. Featuring some of our favorite authors for young adults, this event promises to be a memorable evening of early writerly attempts by these amazing writers, who very much remember what it's like being young and embarrassing. Go here to learn about parking and such at Central. The author's newest books are listed below. RSVP Required: RSVP via email or Facebook and share this event with your friends! ROBIN WASSERMAN grew up outside of Philadelphia and graduated from Harvard University and UCLA. Before she was an author she was an associate editor at a children's book publisher. She is the author of The CHASING YESTERDAY series (Awakening, Betrayal & Truth), the COLD AWAKENING TRILOGY (Skinned, Crashed & Wired), and The Book of Blood and Shadow. In her new thriller The Waking Dark, they called it the killing day. Twelve people dead, all in the space of a few hours. Five murderers: neighbors, relatives, friends. All of them so normal. All of them seemingly harmless. All of them now dead by their own hand . . . except one. And that one has no answers to offer the shattered town. She doesn't even know why she killed—or whether she'll do it again. Something is waking in the sleepy town of Oleander's, Kansas—something dark and hungry that lives in the flat earth and the open sky, in the vengeful hearts of upstanding citizens. As the town begins its descent into blood and madness, five survivors of the killing day are the only ones who can stop Oleander from destroying itself. Jule, the outsider at war with the world; West, the golden boy at war with himself; Daniel, desperate for a different life; Cass, who's not sure she deserves a life at all; and Ellie, who believes in sacrifice, fate, and in evil. Wasserman is currently living in Brooklyn, New York. 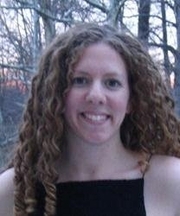 HOLLY BLACK is the bestselling author of contemporary fantasy novels for teens and children. Her books include The Spiderwick Chronicles, White Cat, Red Glove and Doll Bones. She has co-edited three anthologies, GEEKTASTIC, ZOMBIES VS. UNICORNS and WELCOME TO BORDERTOWN, and lives in western Massachusetts with her husband, artist Theo Black, and several odd cats in a house with a secret library. In THE COLDEST GIRL IN COLD TOWN quarantined monsters and humans mingle in a decadently bloody mix of predator and prey. The only problem is, once you pass through Coldtown's gates, you can never leave. One morning, after a perfectly ordinary party, Tana wakes up surrounded by corpses. The only other survivors of this massacre are her exasperatingly endearing ex-boyfriend, infected and on the edge, and a mysterious boy burdened with a terrible secret. Robin Wasserman is currently considered a "single author." If one or more works are by a distinct, homonymous authors, go ahead and split the author. Robin Wasserman is composed of 4 names. You can examine and separate out names.